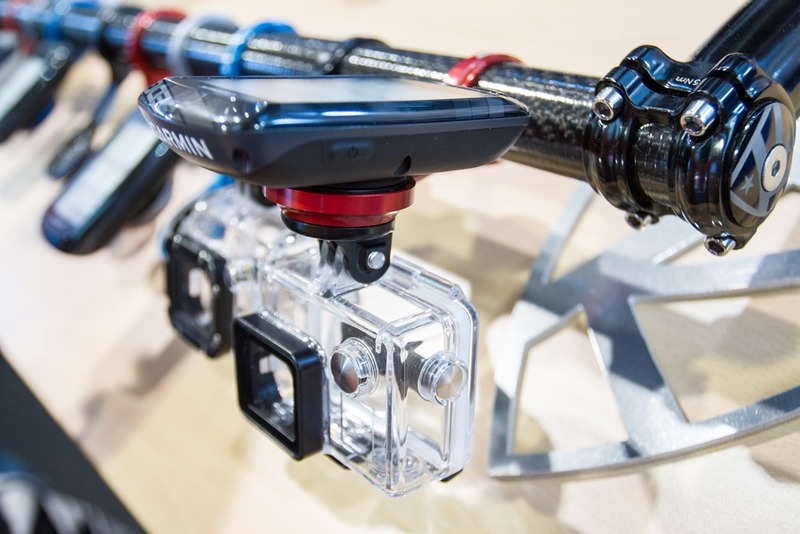 Today at Eurobike K-Edge had on hand a number of their just announced mounts, the most interesting being a new combo mount adapter that holds both your GoPro (or other action cam), as well as your Garmin bike computer. 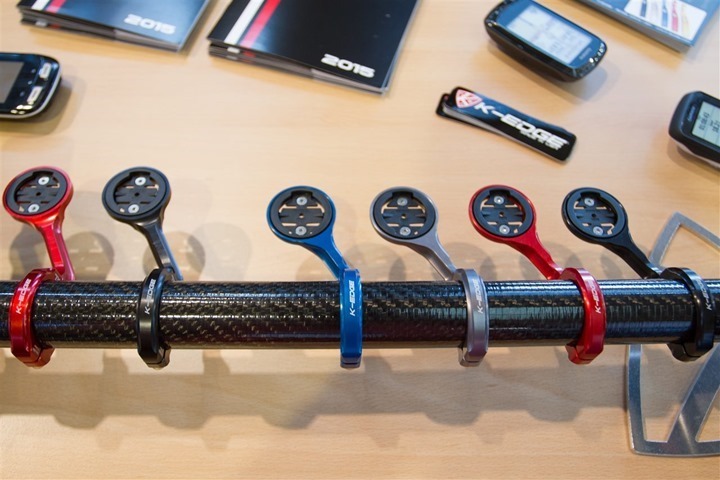 Beyond that, they’ve also added a new more aerodynamic bike-computer only mount for Garmin devices, and a mount for Pioneer power meter head units. Let’s dive into things. First up is definitely one that’s designed to become my new favorite front mount – the combo action cam and Garmin bike computer holder. This adapter fits onto the bottom of of any of their existing K-Edge Garmin bike computer mounts. 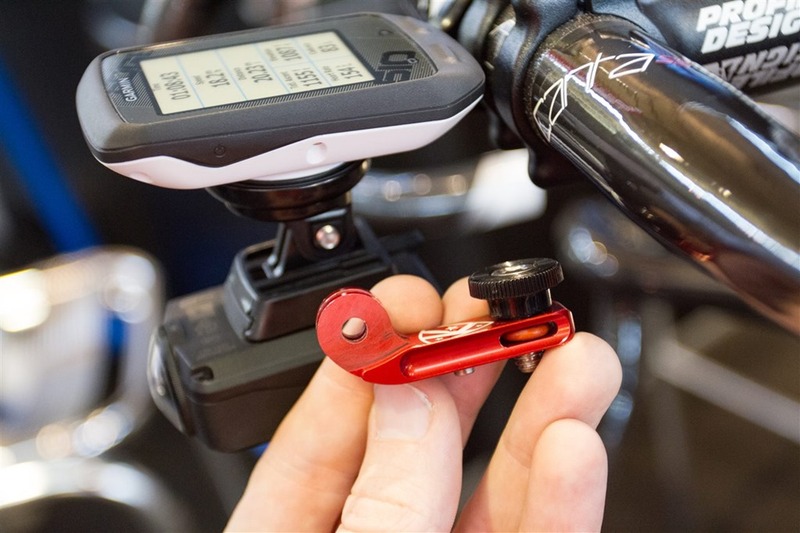 Those mounts hold a standard Garmin quarter-turn mount up top, allowing you to install any of the Garmin Edge series (Edge 200/500/510/800/810/1000, Forerunner 310XT/910XT with quick release kit). It also works with a handful of other companies that have come out with various Garmin-compatible mounts, such as the Wahoo RFLKT/RLKFT+. Yet, when you dip down below you’ll be able to attach the mount to the underside of the existing mount. This mount can in turn accept any GoPro camera using their standard mounting system. The action camera mount adapter costs $19 if you have an existing K-Edge mount, or is $15 more if buying a new package. Note however that the only mount it’s not compatible with is the TT mount due to the lever system blocking the mounting holes, though they are looking at ways of making that compatible. The mount adapter and packages are due out October 1st. Many of you know that I buy and use K-Edge mounts for virtually all of my action cam testing. The primary reason is that they’re simply more stable. In the world of cycling footage, it’s all about stability that gets the cleanest footage (well, that and not crashing). I haven’t however historically bought their bike computer mounts, as I’ve felt they were overpriced compared to the Tate Labs Barfly mounts (which I buy/use). However, in the case of this product change, I’d probably look again at picking up their bike computer mounts to attach the adapter too. Also, we’ve seen their prices dip down quite a bit over the last while. Speaking of Tate Labs, they do indeed have a similar combo system that they unveiled back this spring, though I haven’t seen it in person. Hopefully I’ll be able to find them either here or certainly at Interbike in two weeks. Though, in most cases the Barfly systems are made out of plastic rather than metal, so you’re going to get a bit more flex there than with the K-Edge. Next we’ve got a new mount that was custom-made for Team Sky just ahead of the Tour de France. 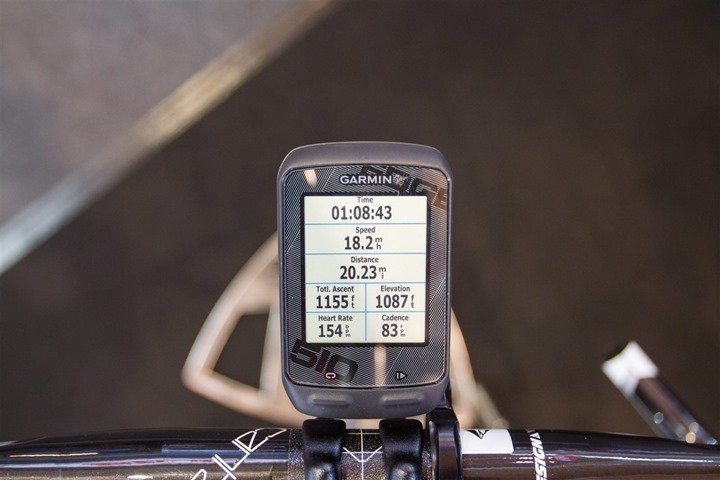 Team Sky uses Garmin Edge 510’s in conjunction with Stages Power Meters to track their metrics. They’d previously been using one of the older model K-Edge mounts, but apparently in doing some wind tunnel testing they found some areas they wanted improved. As a result they asked K-Edge to redesign it for better aerodynamics. K-Edge then took some specific recommendations from Team Sky on design changes and then worked in aerodynamic flow testing software to make the new mounts more aerodynamic. 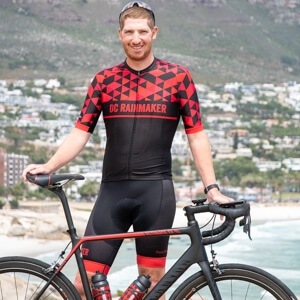 Of course, aerodynamics do often heavily depend on bike and rider configuration – and in general aren’t often terribly transferrable from me to you. And even that, K-Edge admitted the gains were probably…’marginal’. Nonetheless, this new mount will now be available starting October 1st, at $39 in all four colors seen above, effectively replacing the older small-mount system (same price). These Cateye mounts match the same pricing as the Garmin mounts, which is $39US for the handlebar mount, and $49US for the TT (time-trial)/tri mount. Last but not least, they had a new Pioneer mount on hand. This mount was used by their pro team athletes at the Tour de France this year, and will be available on September 1st for $59US. The mount is cool in that it has a bit of a different locking system – far cleaner than that of the default mount provided by Pioneer with their head unit. I’m currently testing the Pioneer Power Meter along with this specific head unit (this is their V2 head unit), and so the K-Edge folks handed over a unit for me to test in conjunction with my Pioneer testing. Like the TT mount however, this one isn’t compatible with the GoPro adapter due to the locking mechanism. I’ll post my thoughts on that included with my Pioneer Power Meter Review. I’ve been using the Pioneer with a Stages head unit and I really like it. I also like the anodized mounts but they seem kinda pricey compared to the Garmin ones. Currently using two mounts now for my Garmin and GoPro, I’ll be switching over the combo mount ASAP to make life a bit easier. Typical! I just got a K-Edge mount for my 810 and I was going to buy a VIRB next month. More expense! Does the handlebar end of the K-Edge combo mount only come in 31.8 mm (standard road size) like their other mounts? The reason I continue to use the Garmin mount for my VIRB Elite is that most often I’m using it on my mountain bike, which definitely doesn’t have standard road handlebars. It’d be nice if they could fit a range of sizes like the Garmin mount, but then I suppose that would affect the stability. YES! Ever since seeing some of the cool bike footage from the pro teams this year I’ve been thinking of getting an action cam for some of my more interesting adventures. 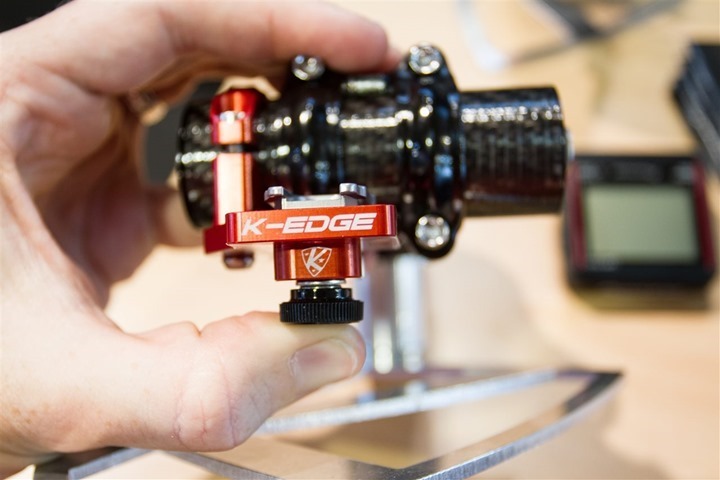 A combo mount is a no-brainer, glad to see K-Edge are on the ball! How exactly does the adapter attach to the underside of the mount? I didn’t see when the combo adapter for the K-Edge Go-Pro mount will be available – the aerodynamic adapter said 10/1. do you have a date for the combo mount adapter? thanks! Does that mean it should be available by now? Can’t find it anywhere unfortunately. It’s about frickin’ time. I wish K-Edge would respond to my emails. John B. We’re here and awaiting your email. Not sure if you forgot the all important “-” when spelling K-EDGE but we are very quick to respond to email. info@k-edge.com is us. We can’t wait to hear from you. And to the rest, don’t panic, the combo mount adapter will be sold on it’s own to retro fit your K13-500 or K13-505 current K-EDGE Garmin Mounts. Does the adapter work with the 910xt? K-Edges website says it is not compatible with the 910xt quick release. Can anyone confirm if it works or not? There’s some funny business going on that Garmin doesn’t seem to want to admit to there, where I think they very slightly changed the quick release design for a short period of time, breaking 3rd party mount compatibility. Some Barfly customers had the same problem. For me, mine works just fine, but it seems there was a time roughly last summer where adapters going out were having issues. Previous to that, no problem. It doesn’t work with the 910XT. 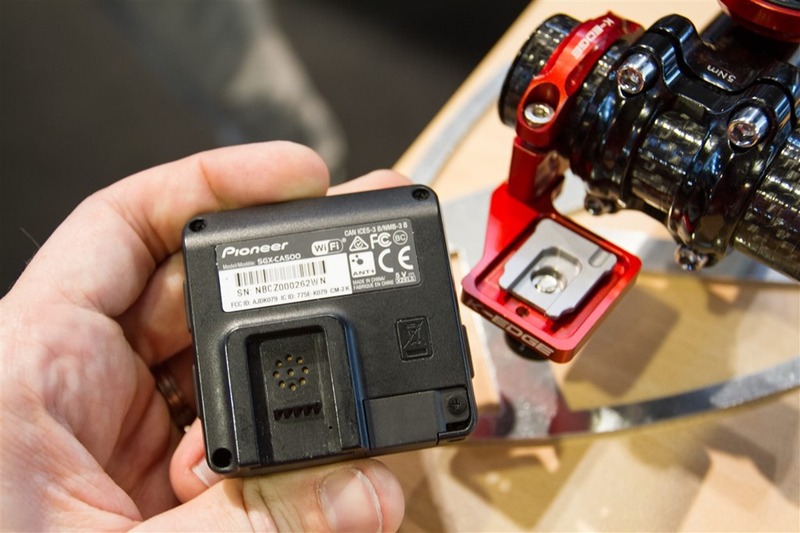 The camera mount uses the other two screw holes so if you adjust the Garmin mount for a 910XT then your camera mount will need to be moved to the other two holes and you will be filming the side of the road. The combo mount from Tate Labs, the Bar Fly SLi, was listed for quite a while on their website as “out of stock” and “available for pre-order”. Shown in two sizes, 31.8 and mountain bike (35?). Then, a couple of weeks ago or so, it suddenly disappeared from their website. A guy from Tate Labs told me that they are updating the SLi to accommodate the Edge 1000. No word on availability that I’m aware of. So, if I get the K Edge GoPro mount adapter for my Garmin mount, then where does my Di2 JB go? It is now mounted nicely under the mount, exactly where the camera adapter attaches…….sheesh, first world problems! Good catch, forgot about having the SM-EW90 junction box hanging right there. Next up, one mount, eight devices…..
Hey Ray, That adapter looks like a really neat solution for handlebar clutter. I don’t think I saw a release date on the blog post. Any idea when it will be available on the retail market? I like the K-EDGE GARMIN/GOPRO COMBO MOUNT. Earlier this year I made my own for a C2C trip. It worked well but during the summer heat the glue gave up. yes this is what I need… video to show my wife where the hell I have been the past 4 hours and look like death warmed over….this is exciting footage for sure. I am guessing 99% of us are not riding a mountain bike over a mountain ridge doing back flips. I guess the footage of me getting run off the road would be helpful in the event I need to track down the person. 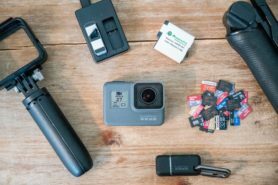 That hasn’t stopped some chunk of those 99% of people from buying millions of action cams, and turning GoPro into a billion dollar company. It would be REALLY nice if K-edge released a Joule GPS version. I suspect a different plastic insert is all that is needed. I have a love/hate relationship with my Joule, but frankly… things don’t seem much better on the Garmin side. 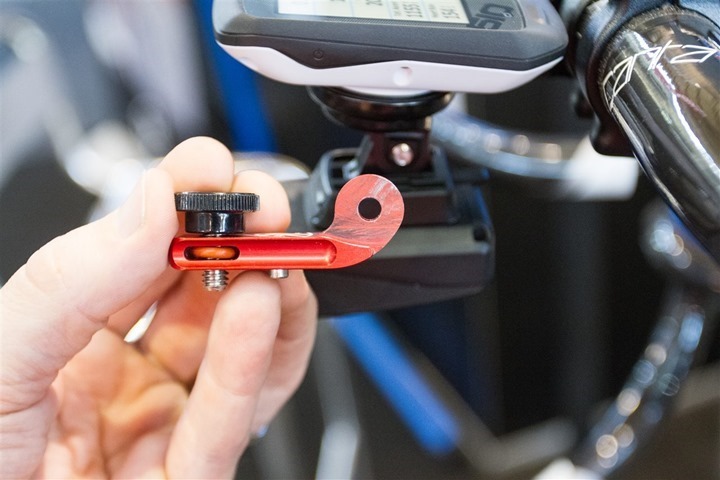 I know it would be asking for too much, but if they could also include a version on the gopro adapter that extended a few centimeters behind the mount… it could easily hold a Di2 junction box with zip ties or even electrical tape. Ray, did they give any indication when the Garmin/GoPro combo mount adapter would be available? This would be a welcome add to my setup. Sorry, thought I had that in there. October 1st at latest. Is anyone seeing these offered for sale yet? I waited patiently until 10/1 and I do not see anything on the aceco website. Let me know if you guys have found it! Looks like they updated their website and have the category for “Combo Mounts”. Just no products in it yet… Hopefully soon before Winter for those of us with seasons. Did the vendor(s) mumble, hint or state anything about mounts for Mio/Magellan 505s? Options are sorely lacking, and duct tape only goes so far. Also, as I travel and often rent bikes, any recommendations on a quick release mount that is easy to transfer between bikes, especially with varying diameter bars. I don’t recall seeing any previous blog comments on the subject. Any word on a possible Magellan/Mio 505 mount? I am currently using the Pioneer computer so it is good to see the k-edge mount. I ended up on the Pioneer after giving up on Garmin. I had 4 hardware failures in 4 years (3 800’s and 1 510). Then, the continuous stream of firmware bugs on the 510- dropping sensors, livetrack not working, course following not working. After over a year most of those are somewhat better. However, the unit has a continuing problem with file system corruption. My last 510 started resetting multiple times per ride and also not saving any data. After help from Garmin tech support the problem persisted. They admitted that there was an ongoing software problem and offered to replace the 510 (replacement number 5). I declined. There were too many forum reports of other users with this problem to give me any confidence that a new unit would work any better. SO, I switched to Pioneer and have been happy for 2 months. No problems at all, More metrics than Garmin. Auto wireless upload is really handy (Garmin Bluetooth upload usually failed for me). Only real thing missing is course navigation which I never use anyway. It would be nice if they made a rear facing mount to fit in the seatpost rather than the saddle rails (I use a saddle mounted seat pack). There are no rear facing mounts out there that I know of that don’t interfere with you legs! When you know that selling information K-EDGE combo MOUNT? Yes would like to know myself, just the thing i need. Checked all the usual suspects, Amazon,Wiggle, etc and cannot find it. CatEye handlebar (outfront) and Stem (spacer replacer on steerer tube) mounts have shipped to distributors have them now, shops soon to have them. All Pioneer Mounts- TT and Road (out front) have shipped to distributors. Combo Mounts- are shipping as we speak. All distributors will have these by weeks end (Oct. 10 or 14th depending on area of country). These are the K13-500C (Garmin Mount with camera mount) , the K13-505C (Garmin Mount XL with camera mount), and the K13-580 (the adapter that will make the current K-EDGE Garmin Mount into a combo Computer/Camera Mount). Also, the K13-602 SRM magnet chain catchers are at distributors. Last but not least the Aero Garmin Mount is expected to ship in early November. This is a very cool accessory. Do you know if it’s easily removable. I want to be able to switch it to my downhill bike easily. 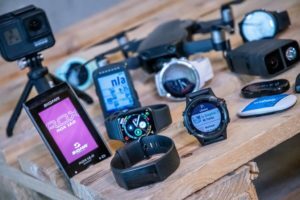 As Samsung S5 has an excellent battery life and Android gives more options than Garmin, i am considering using my phone as a main navigation device (link to kickstarter.com should help even more). Although Barfly universal mount is a very nice option, i also like the looks of Garmin mount and its locking mechanism. Has anyone spotted a phone holder that would use the Garmin mount? 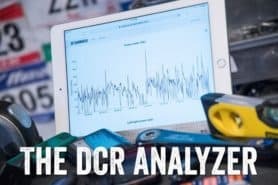 If you check out my TrainerRoad post from Interbike, they’re talking of developing one of sorts. Basically, they’re looking at developing a pod that will attach to any phone case you’d like. Perfect. Thanks – looks interesting, but unfortunately not designed for outdoor use. Am really intetested in the Edge 1000 with Virb combo mount but can find no other information other than whats here much less a dealer/retailer. Are they available anywhere? UK if possible. does the adapter work on the garmin out front mount that came with edge 810? Have a look at Morsa at http://www.morsadesigns.com. We have your Garmin edge 1000 and Virb solution. Two years of development and just released at Interbike. We have 18 years of R&D experience at places like Honda, Toyota and Oakley. Jeff, Hi. Do you ship to europe?? I bought the combo mount to add on to my k-edge mount for my VIRB. For me the footage is very shaky 🙁 The roads here in the UK are rough but the mount isn’t helping. My edge 810 doesn’t is solid but the VIRB underneath rocks a lot. Maybe its the number of links in the chain, mount, Garmin’s GoPro adapter and cradle. Everything is tightened right up but the cradle just rattles. I from some people i’ve spoken to online they say the same. For me its a shame as its a really neat solution and I don’t fancy putting my VIRB directly on the bars. I also bought the K-Edge combo mount, to use with my Edge 500 + VIRB. Can anyone confirm whether the normal-sized K-Edge combo mount will fit the 810, or will it only fit on the K-Edge XL combo mount (designed for the Edge 1000). Yes I also want to know whether the normal K-Edge combo mount will fit the 810, or would I have to get the K-Edge XL combo? First off…thanks so much for all of your articles. 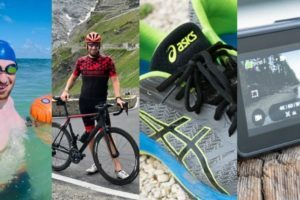 You’ve answered SO many questions I’ve had since getting back into cycling. I like to mount my headlight under my current Garmin out front mount. It basically does exactly as the K-Edge Combo unit. The only problem I have is when trying to use an external battery on LONG rides or 24 hour events. The mini USB plug is blocked by the Garmin mount’s arm. To my point…does the K-Edge Combo mount have enough room to allow access to the mini USB port to use an external battery? You would think that by now a large company would have thought about designing a totally modular mounting system allowing the user to configure it how they wish. 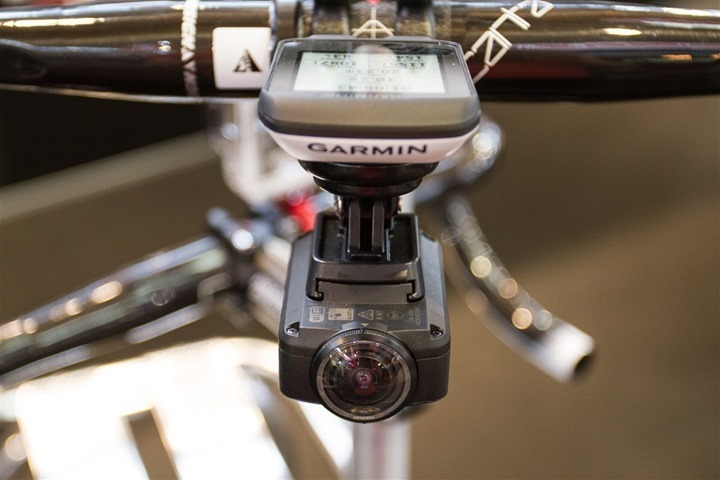 I would like to be able to mount my front light on an outfront mount with my go pro underneath for commuting at night, but during the day be able to mount my Garmin 810 in place of the light. Wondering if its also working with the Virb Elite, any ideas? Looking at it, I wouldn’t think so. It appears to have the GoPro mount versus a traditional VIRB (1st gen) mount, so probably not. Since it has a traditional GoPro mount, couldn’t you just use the adapter that comes with the Virb Elite though? Would just cause the unit to hang an additional 1/2″ lower I suppose? found it advertised for £10.99 on the garmin website. I have recently bought from these guys (link to racewaredirect.co) as BarFly/KEdge take a very long time to get their respective products to the market… for example, even Wiggle do not stock the K-Edge combo… Ray if you have time you should test the Raceware stuff…3D printed.. Interesting. Though, I’d be a bit concerned about the fact that it’s 3D Printed, which is generally not going to be long-term suitable in terms of vibrations/etc…(meaning, it’ll probably break). Are the Aero and Combo mounts compatible with Garmin 920XT quick release kit? Tried looking at the product pages but couldn’t find the info. I’ve been trying to find the answer to this question also…unsuccessfully. The K-edge website still only mentions the incompatibility of the 910, with no mention of the 920. 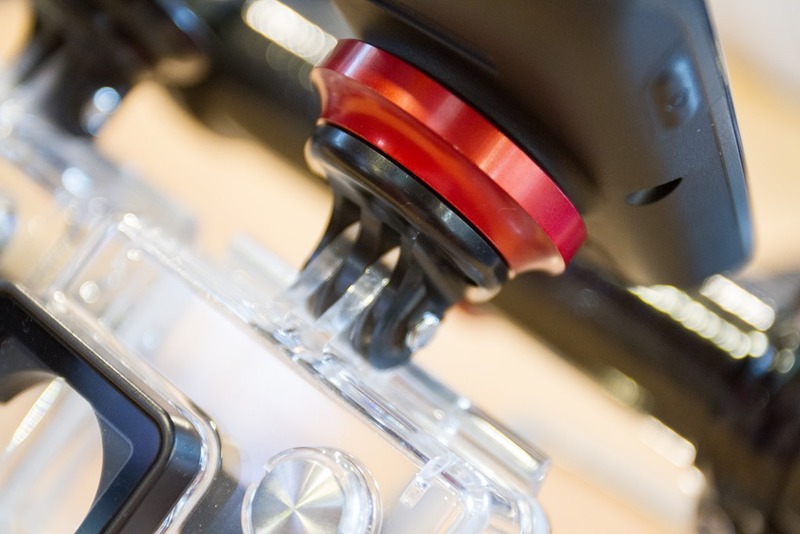 It’s fully compatible with both – as long as you have the FR920XT quick release kit. I like the K-edge mounts as they are nice and solid. I have a couple of underseat mounts and a couple of the Aero and combo. Unfortunately, using the combo mount, the GoPro interferes with the Garmin GPS signal. I googled and found I’m not the only one with this issue. I’ve wrapped the GoPro with some aluminum foil with mixed success. This solution also interferes with my touch screen access. I am considering coming up with a shield for the bottom of my Garmin 500 to see if that might work. 1) is it possible to use the mio 505 with a K-edge mount? is the mount of mio the same as for garmin? 2) whenever i don’t have a mio 505 clipped on , i would like to clip on a simple chronometer (like cateye or wahoo or…) is this possible on the same mount? 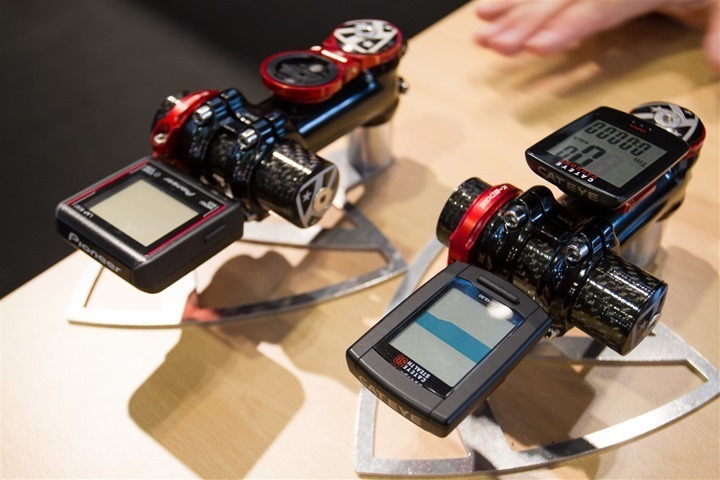 i read there ‘s a compatible case for the reflekt wahoo to clip on a garmin mount but i don’t know if it can clip on a mio compatible mount…. @sd – unfortunately the Mio 505 does not mate with the K-Edge mount in a reliable manner. That said, there are workarounds that can be found on the CycloGPS.com site that will show you ways to use the mount and prevent the device from coming off during a ride. In general terms, the Garmin mount is the standard mount design, and though many of the devices will clip into the mount, you’ll notice that they don’t quite click in solidly, resulting loss or damaged units. 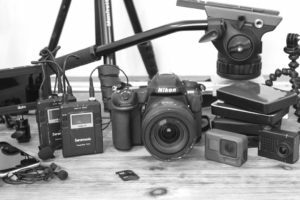 – isn’t there any convertor/adaptor to switch from one type of mount to another? There are the lower end units from Mio, such as the Cyclo 105 and 300. But it depends on what you believe is “cheap”. You could always check out eBay for used Cyclo products, yet make sure to purchase a device for your specific region. Unfortunately, somewhat like the GoPro mount for action cameras, there is no one standard mount. And in the case of head units, I am unaware of any adapters. Though Garmin is the most universal mount design. According to the k-edge website the aero mount is not compatible with the 810. But I you have a picture here with the 810 on the aero mount. Is this correct? Does the 810 fit the aero mount? I purchased the GoPro Silver 3+ based on your recommendation and it was on sale at Costco here in Vancouver at $299.00. I also purchased the K-EDGE Combo XL mount per your review as I have a Garmin 1000. Works PERFECTLY. Here is a video of mine at the Velodrome in Burnaby (BTW, it’s 200M, so steep banking and short sightlines. 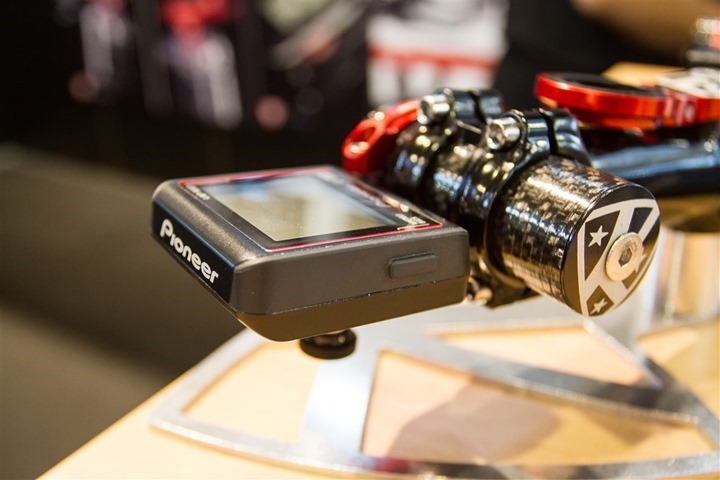 is the K-edge bike mount as well compatible with the fenix 3 quick release kit? is the bikemount from garim all the same? Ray, not sure if you have the K-EDGE Aero Combo Mount. Just wondering if the Aero Combo Mount will work with the Edge 520, allowing access to the bottom two buttons? I’m not handy with my bike at the moment, but if I remember correctly I put in some pics of it with a few different mounts inside the Edge 520 post (there’s a small gallery). I believe it was kinda tight, but still worked with the buttons. 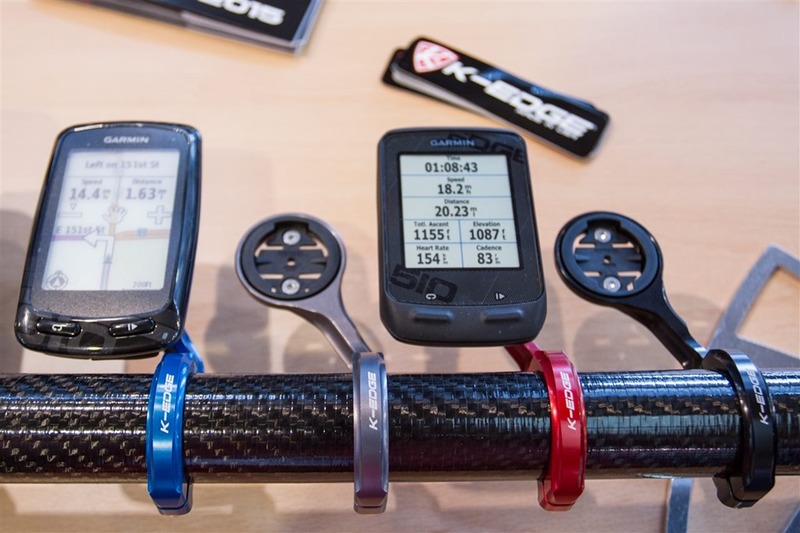 Yeah, i saw those pics but i am not sure if the K-Edge mount you used was the Garmin-only mount, the XL combo mount or the aero combo mount. I just talked to the K-Edge folks. The Aero Garmin/GoPro combo mount cannot be used with the Edge 520 as the bottom two buttons on the 520 won’t be accessible. They recommend the XL combo mount. I also got in touch with the Bar Fly folks. Depending on size of the stem, the Bar Fly 4 Road Mini (2.0 SLi) could also work with the Edge 520. This combo mount can handle a Garmin, GoPro camera/bike light and a di2 junction box all at the same time. I know the K-Edge mount is your go-to mount when you are testing cameras because they are pretty much bomb-proof and they are stable. Have you ever used the Bar Fly combo mount? I am curious to know if it is just as stable as the K-Edge mounts. On my ride yesterday thinking about how I can justify upgrading my 510 to the new 820 when all of a sudden my K-edge breaks along the arm and drops into my wheel. Bike computer and camera explode. So after I check and the computer is scratched has dings, dents and no mounting tabs so no way to mount it anymore. Camera needs a replacement lens cover hope they still stock those! Otherwise it has battle scars and a deep gash but seems okay otherwise. So first off beware K-edge looks like its cast metal not machined and it just gave way, fatigue shouldn’t be an issue the way I ride. Hi I was interested to read your comments on the K-edge combo mount for the Garmin Edge 1000 and Gopro Hero 4 Silver and subsequently bought one but I have discovered that there is serious RF interference from the Gopro which is so bad that the Edge satellite signal disappears completely when the camera is filming video. 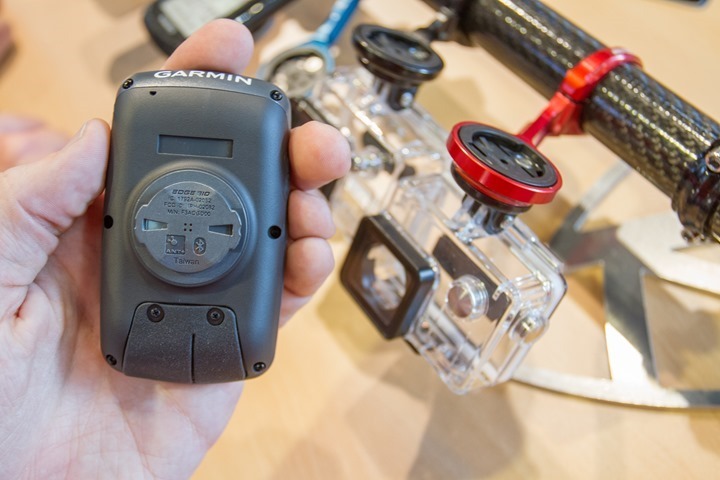 On various blogs and on youtube people have complained but Gopro suggest it’s a Garmin issue! 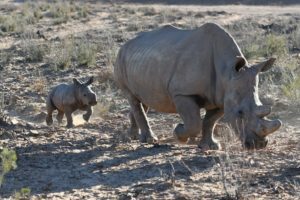 Do you have any solution or suggestions that might help me and others in a similar situation. I really value your opinion and admire your work so I look forward to hearing from you. I wish I had some idea why it works for some people, and not at all for others. I use GoPro and Garmin units virtually every ride – and have never had problems. But certainly some people have. 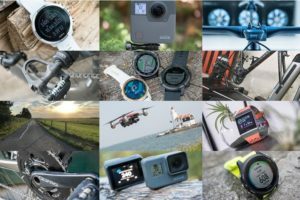 I wonder if there was a specific batch out there of either Garmin or GoPro units which are more prone to the problem or what. I have heard of some people wrapping their GoPro in tin foil. Of course, one thing that I do know that should help is simply turning off WiFi on the GoPro. I suppose on the Hero4 series, I never had WiFi running while cycling (mostly because it kills battery). But that’s what’s causing the issue with the Garmin. The gopro adaptor part…e.g., where its attached to the waterproof plastic housing in one of the images….where it has the two circular plastic ‘arms’ going into the three ‘arms’ of the mount. Could you measure the width of those gaps and the diameter of the bolt/screw hole. I have a front light which is typically mounted to the handlebar using a quick cam mount…but I’d like to mount it under the Garmin out front but don’t want to fit another bar off of that underneath. I took apart the light’s cam-mount section and was left with its frame which has a couple of circular plastic ‘arm’ sections that are very similar but not sure if they would fit….and I can’t find the measurements anywhere. So a measurement of the gaps in the 3 ‘arm’ mount and screw/bolt diameter would be much appreciated.